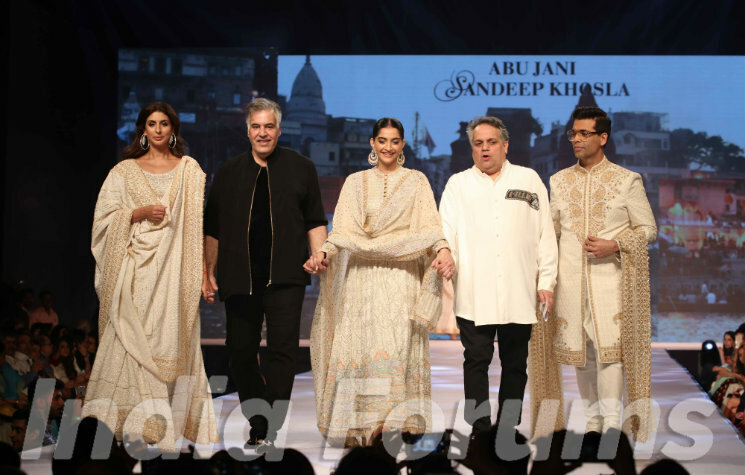 The ace designer duo, Abu Jani and Sandeep Khosla are one of the country's most extraordinaire fashion designer's. 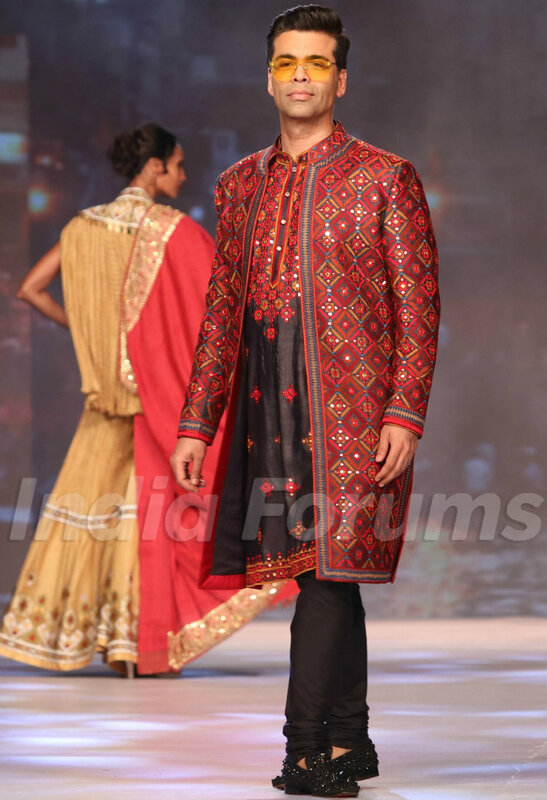 AJSK are acing the Indian traditional wear, as well as setting the trend for up and coming festive seasons. With the classic mirror embellishment and the subtle chikankari work, AJSK's designs displayed yesterday in Mumbai, will forever be remembered for their haute couture chicness. Roll down and check out the vibrant outfits worn by Karan Johar and Shweta Bachchan. Karan Johar spilled his sass on AJSK's runway in an embroidered jacket clubbed with black bottoms. Karan slayed, like usual! On the other hand, Shweta Bachchan too, like Karan wore a lehenga ensemble from the same collection. Shweta looked ethereal. Pouplar for their inimitable chikankari embroidered pieces, their eye for intricate details and focus on creating ensembles that spell luxury, AJSK's second set of collection meant, subtle but ostentation. 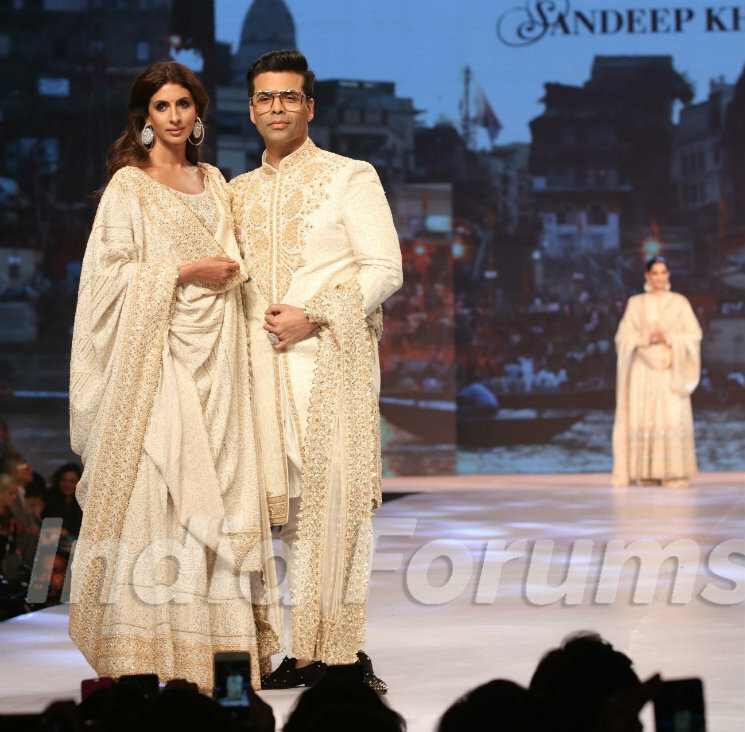 Shweta and KJO, both together rocked the designer's beige embroidered ensembles. 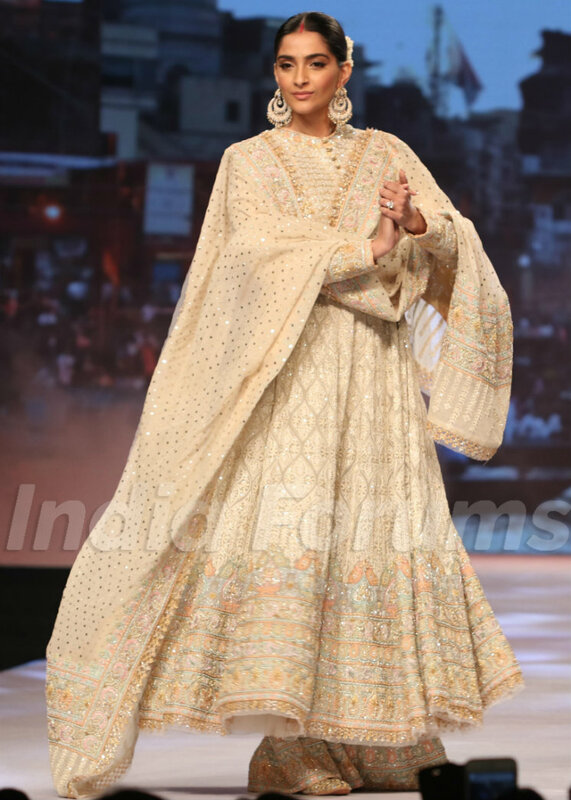 With vermillion gracing her head and showstopper anarkali suit in the classic chikankari embroidery, Sonam did not just do a normal walk but also twirled. Sara Ali Khan bags the title of the Best Debutante of the year Meghna Gulzar Praises Deepika for her relentless efforts in Chhapaak!